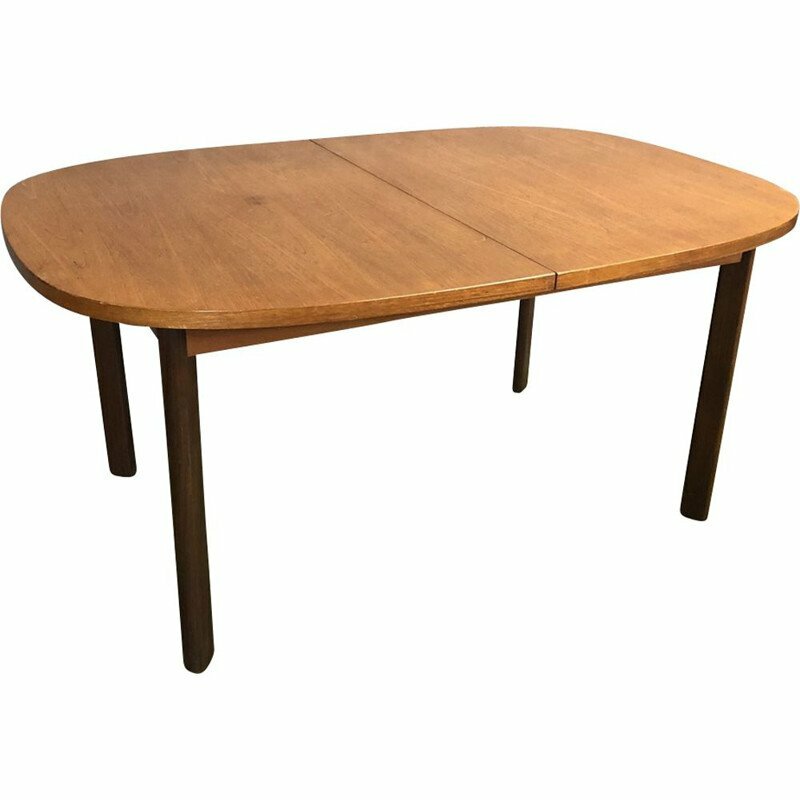 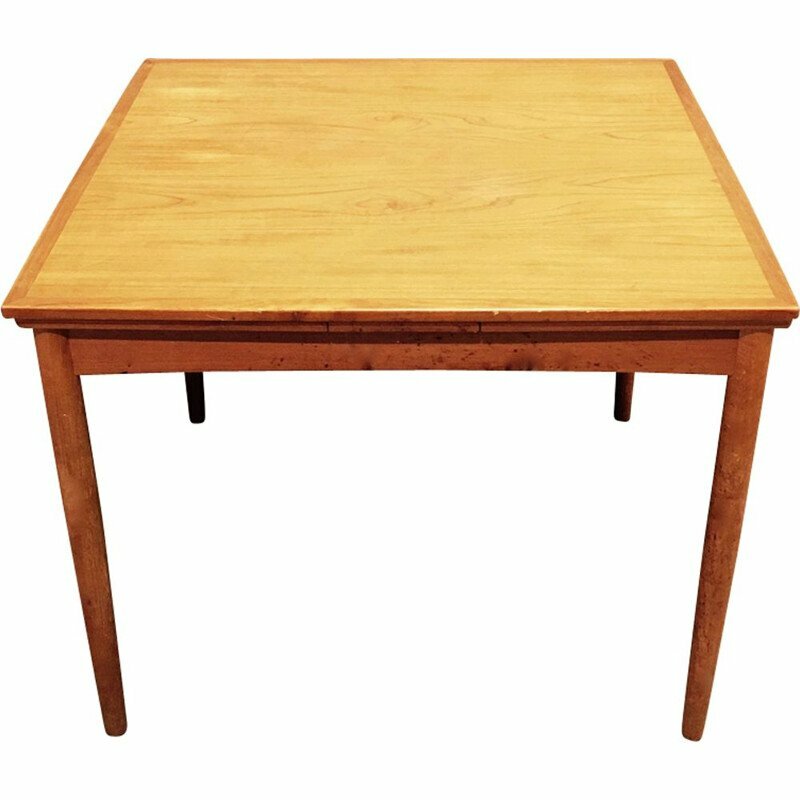 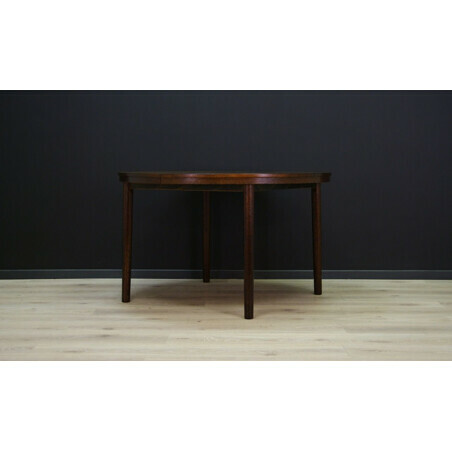 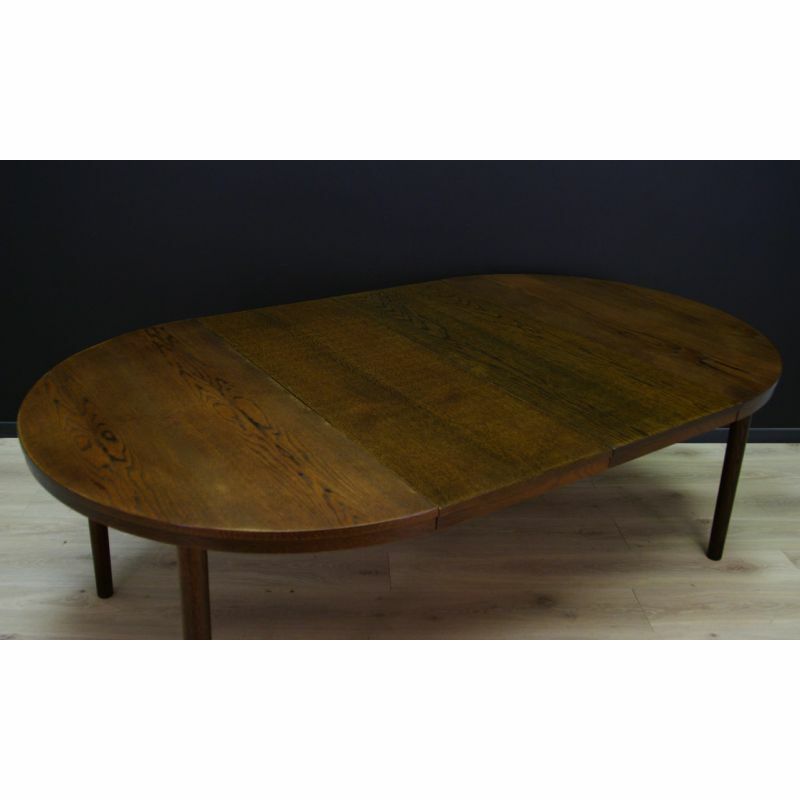 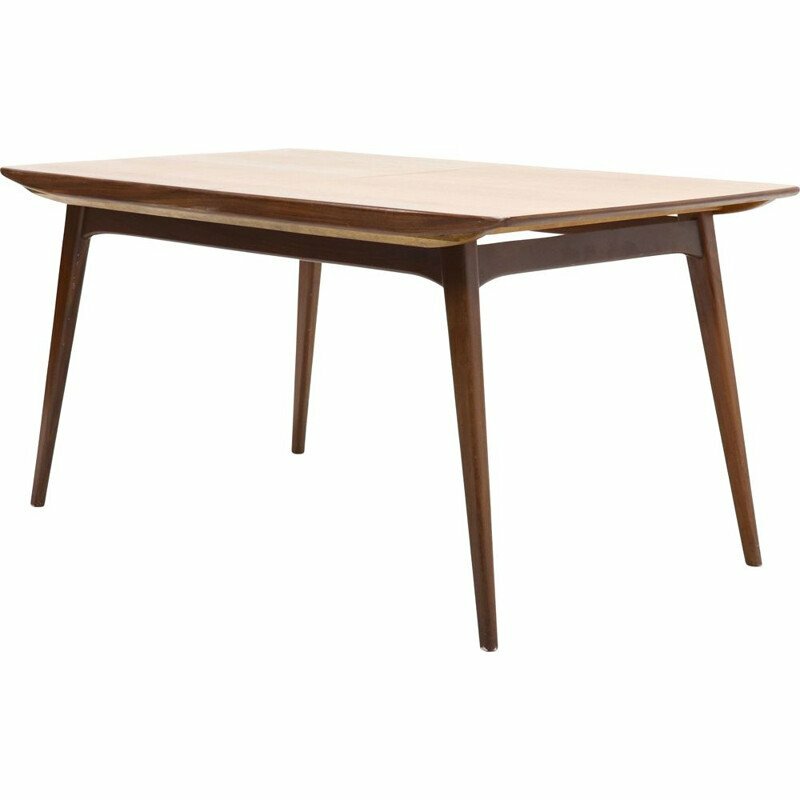 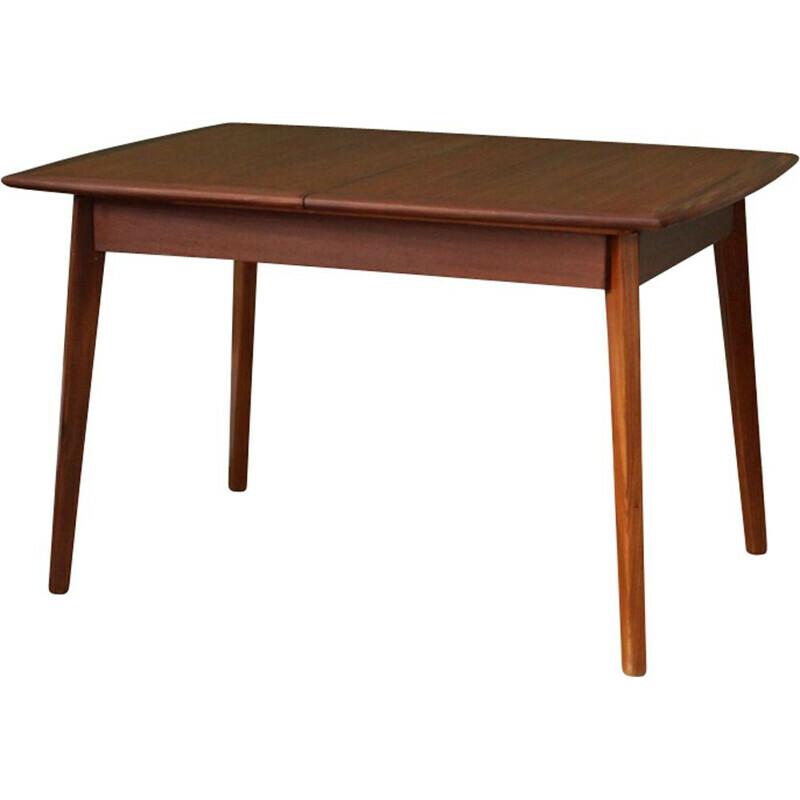 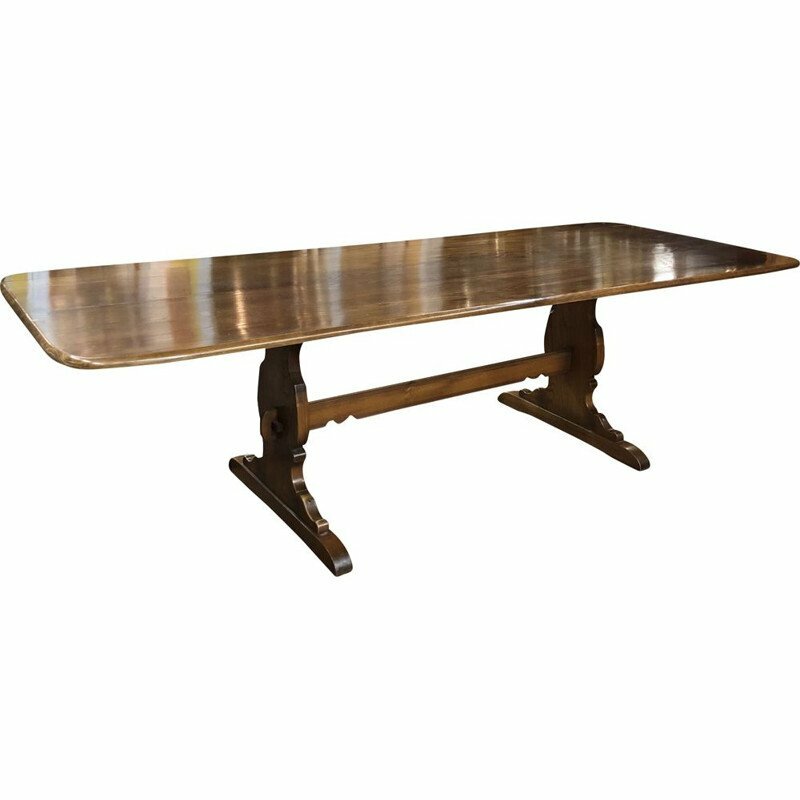 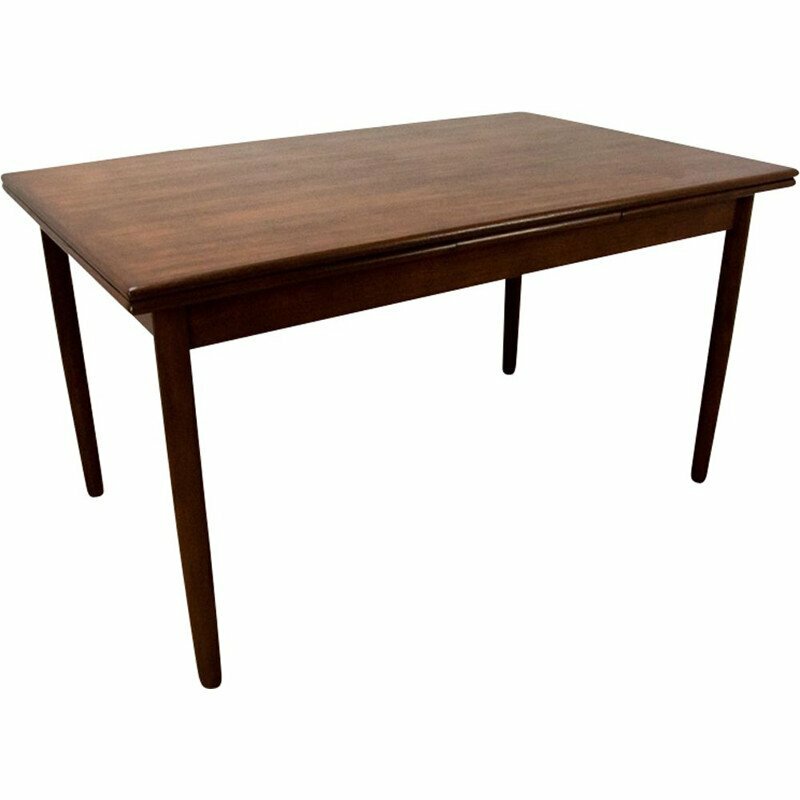 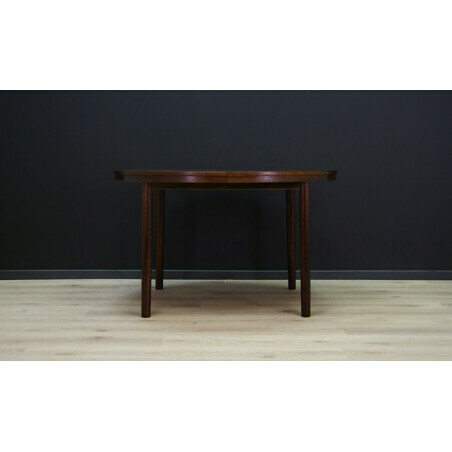 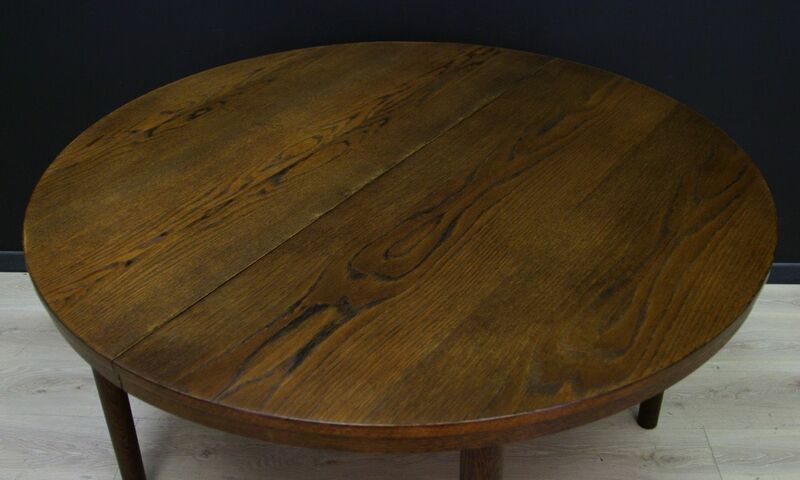 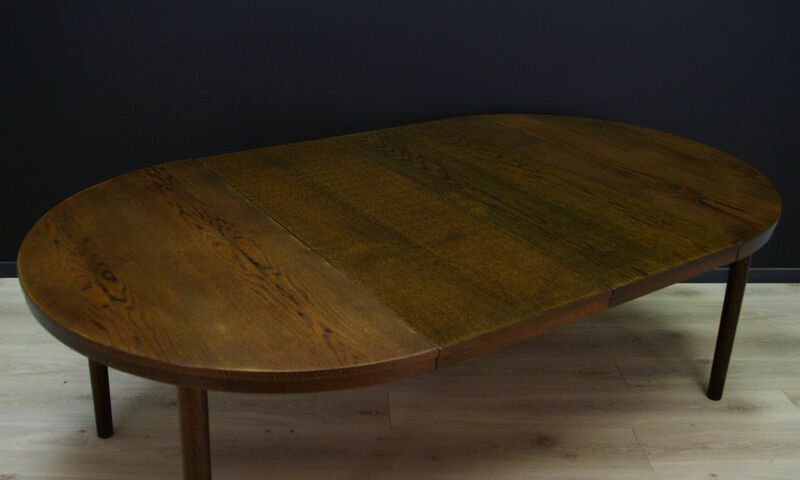 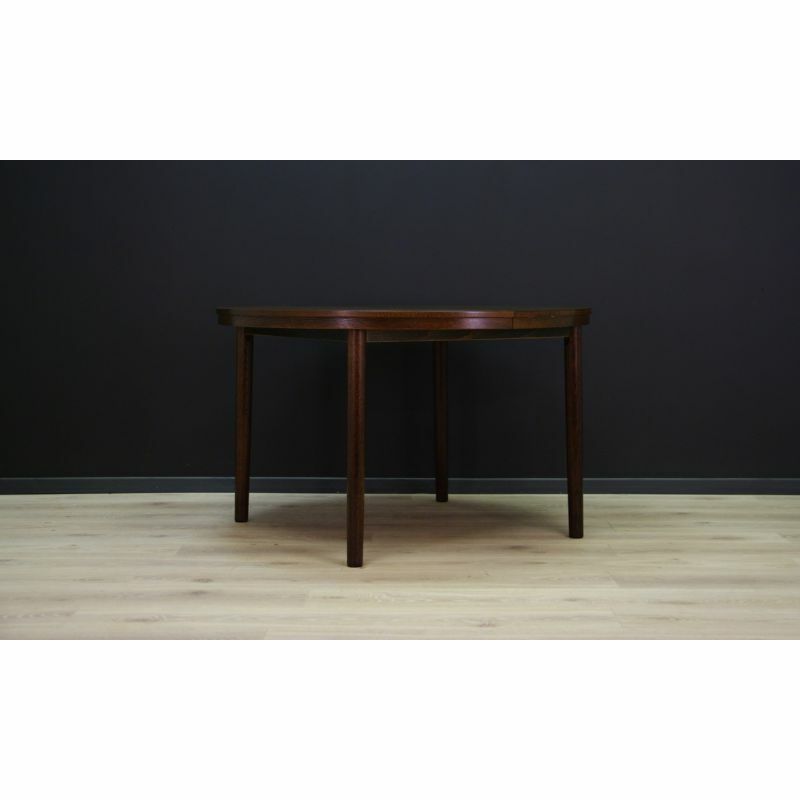 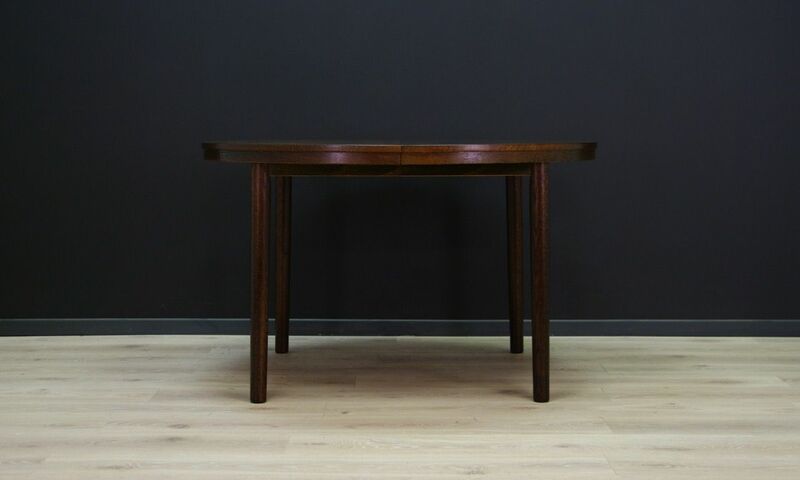 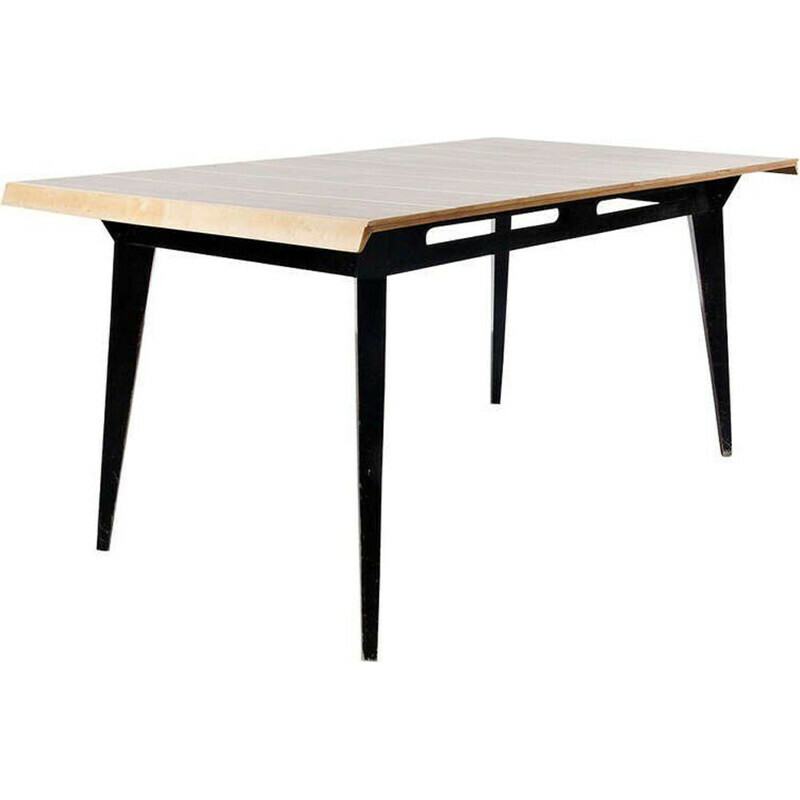 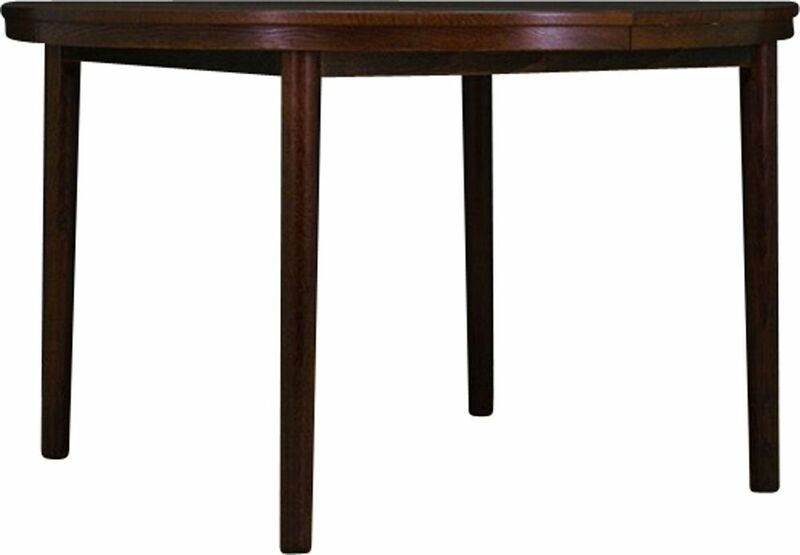 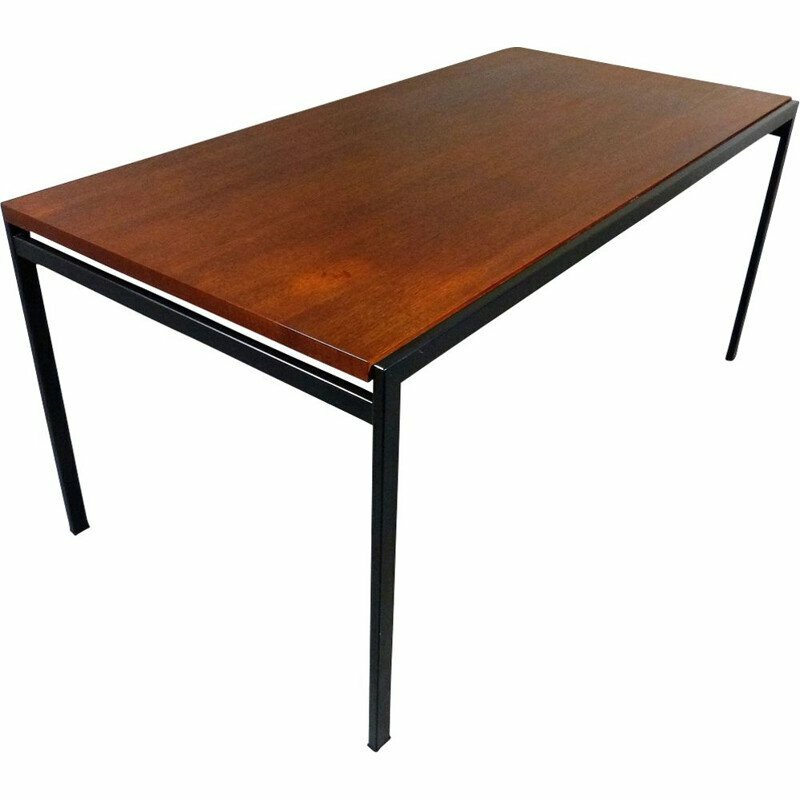 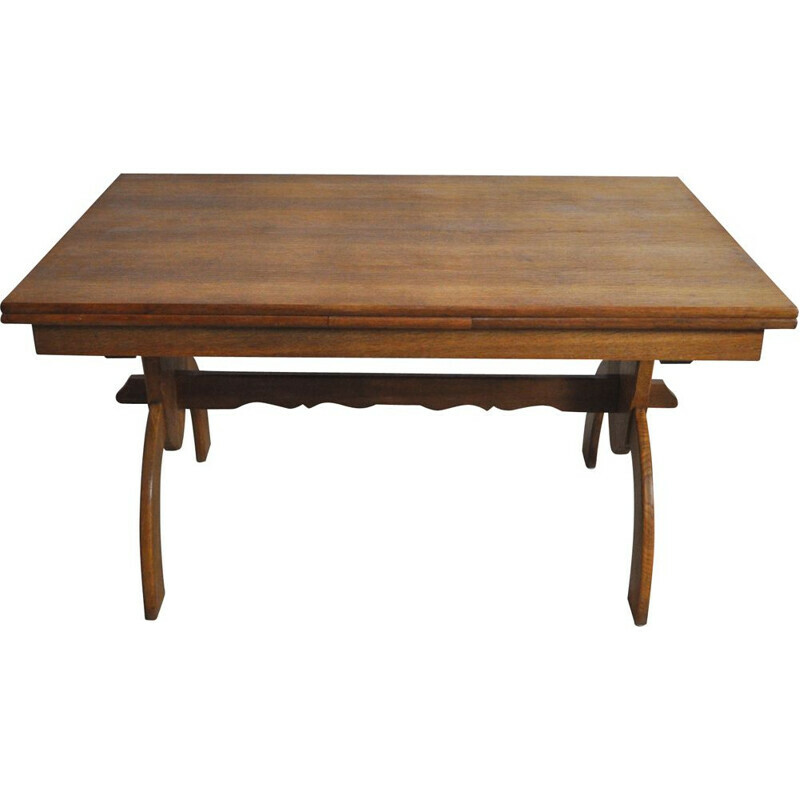 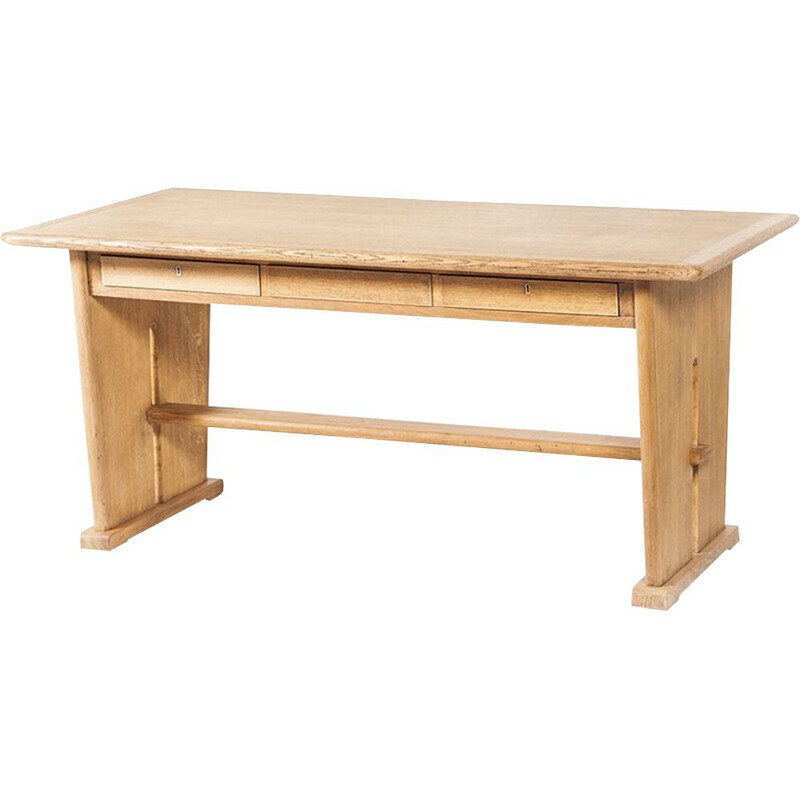 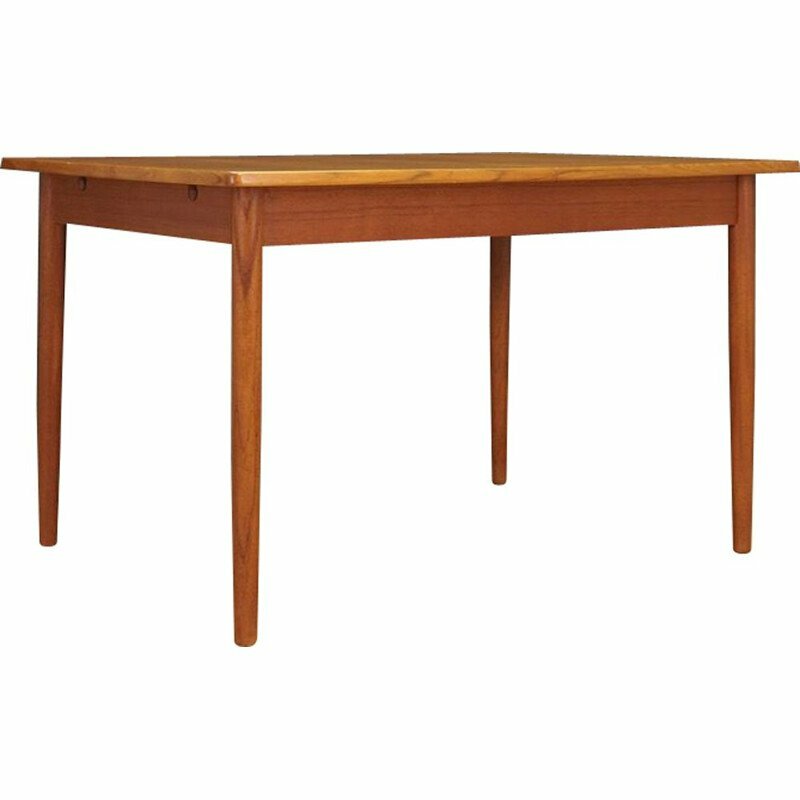 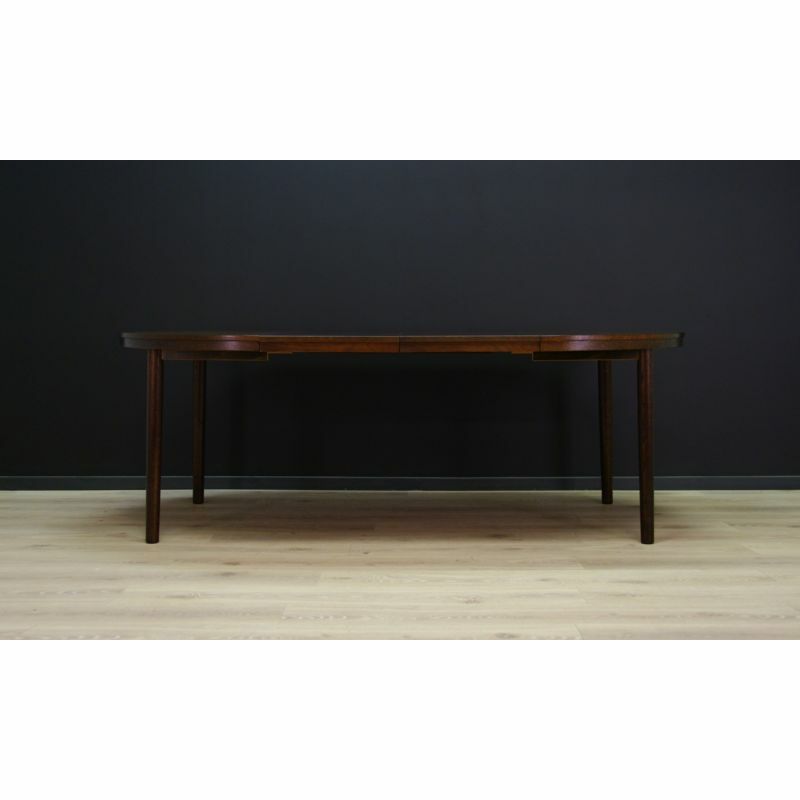 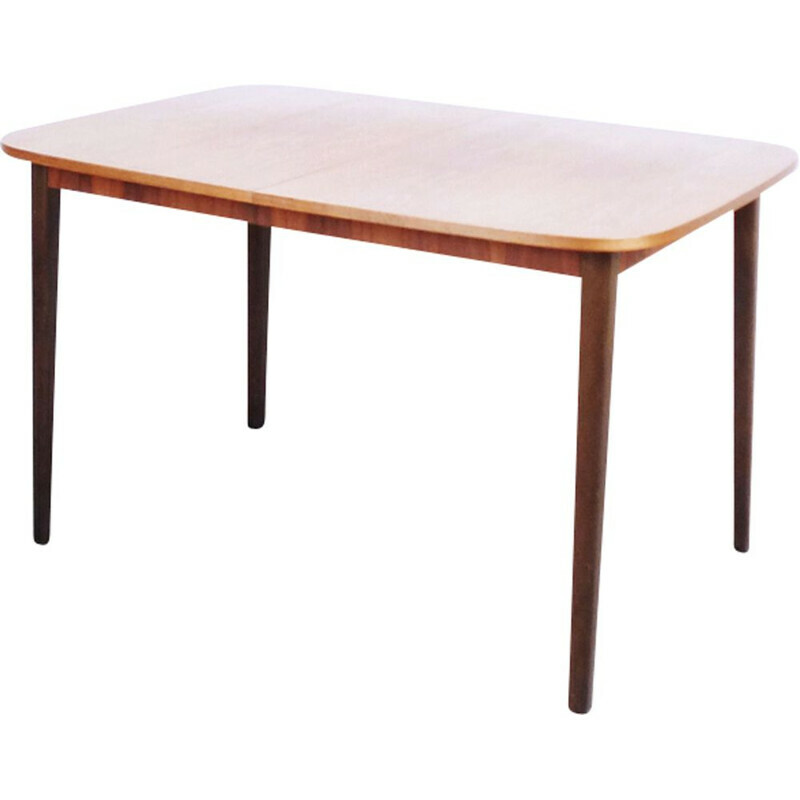 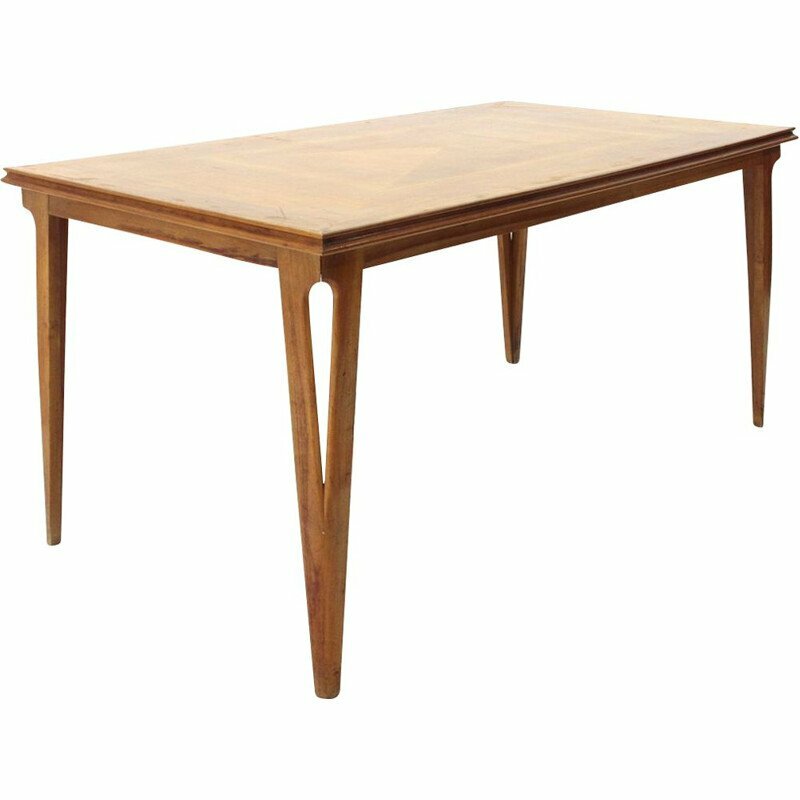 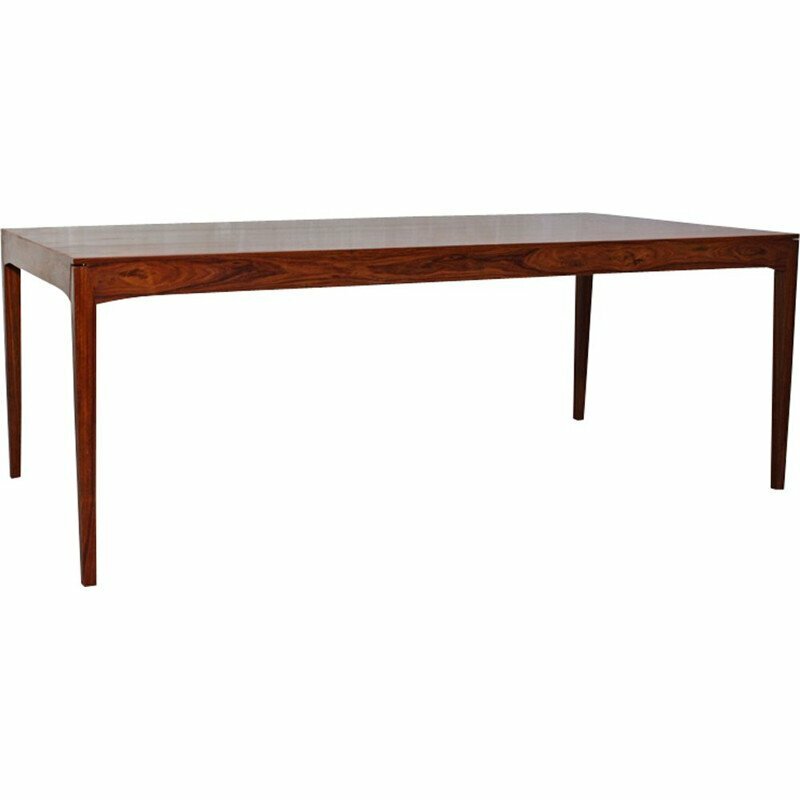 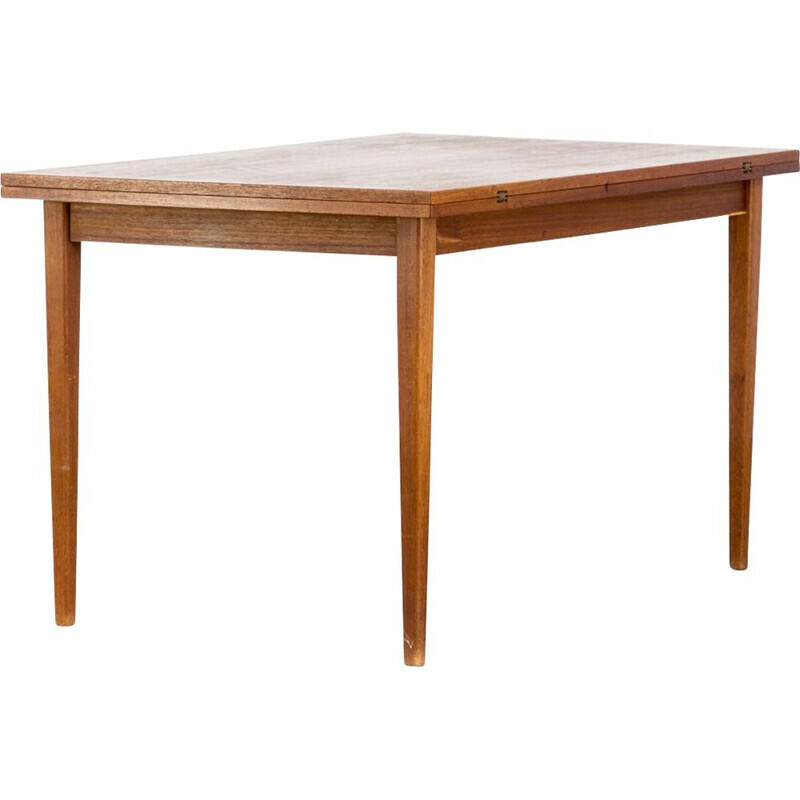 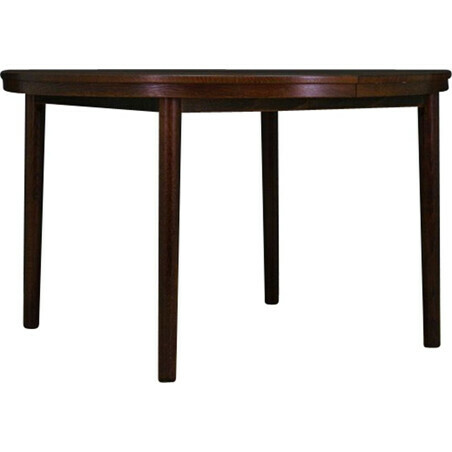 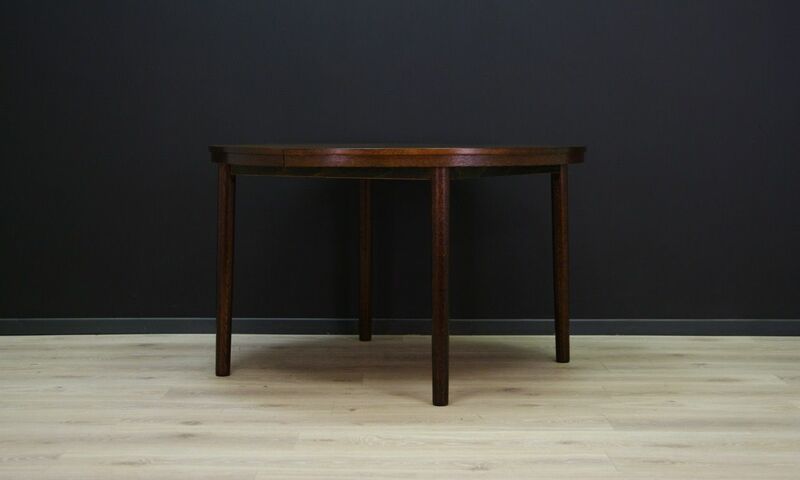 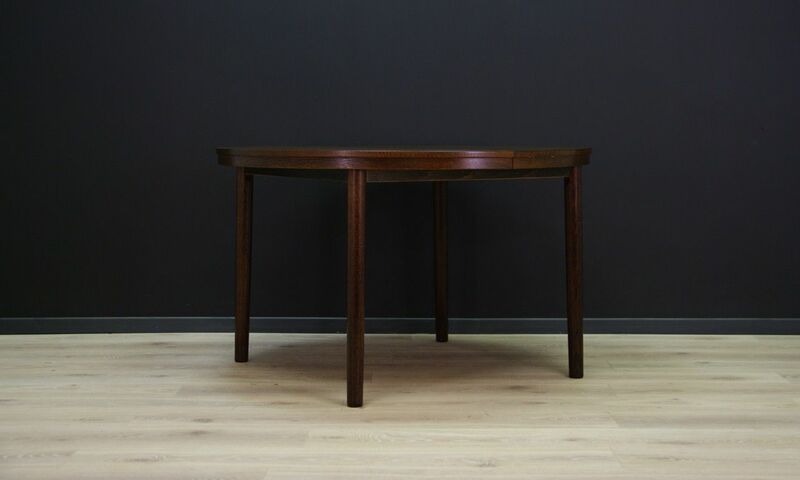 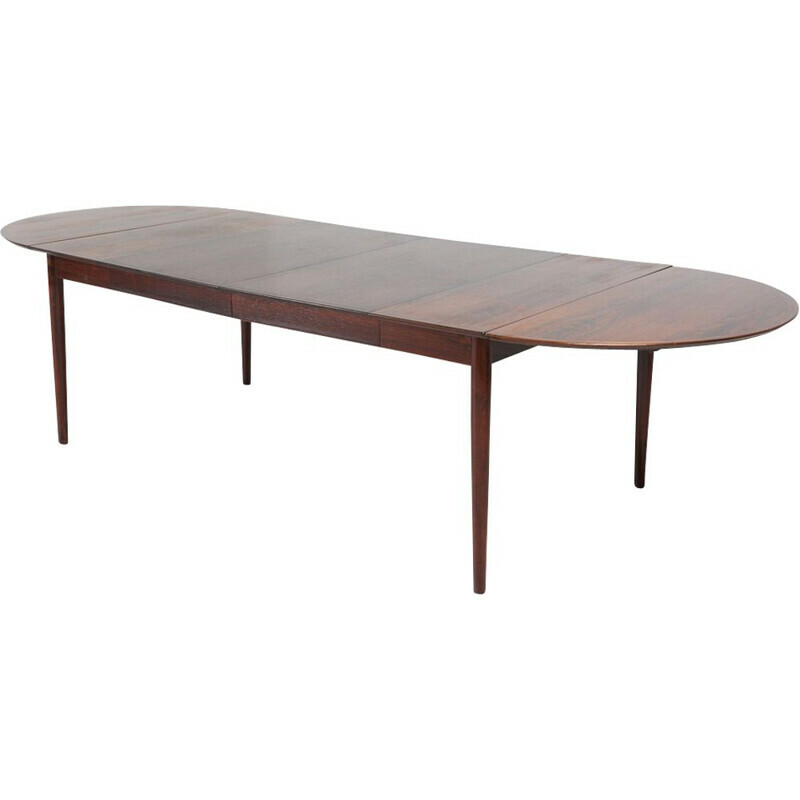 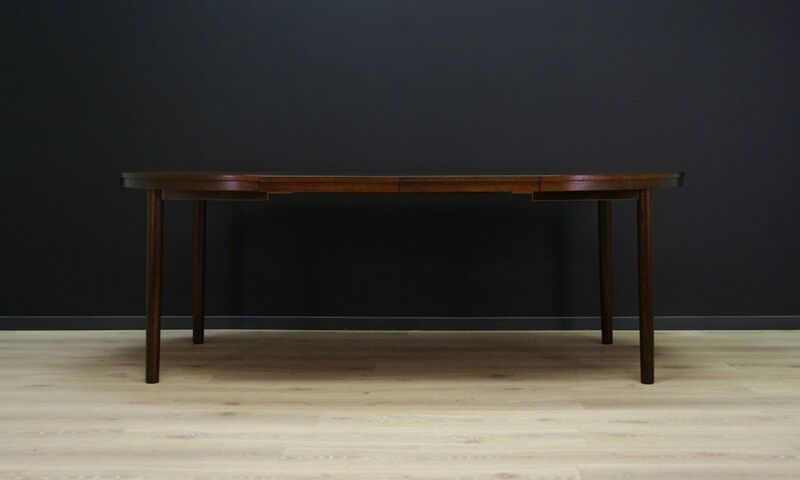 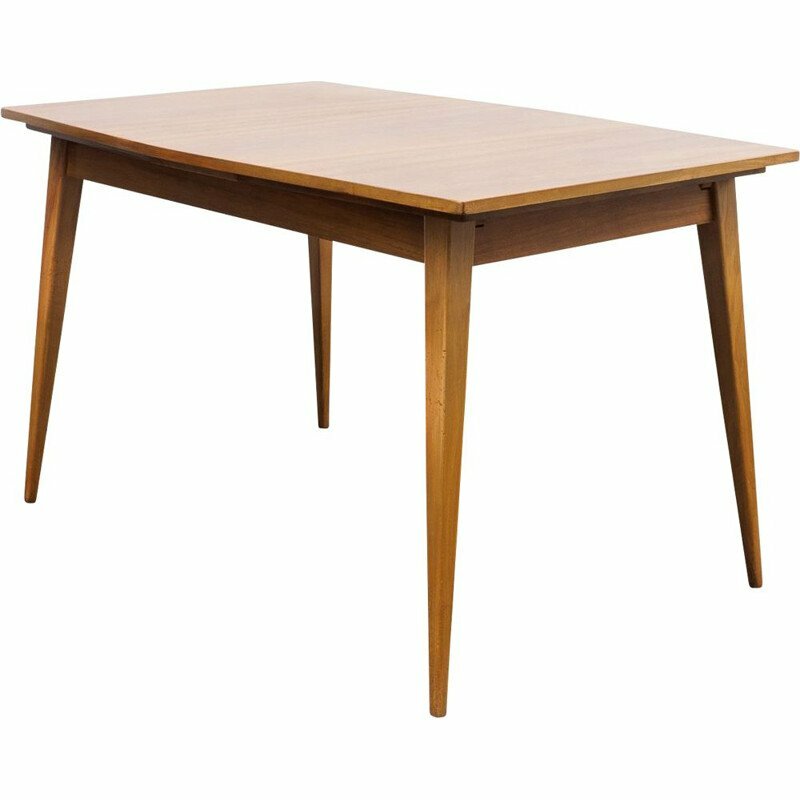 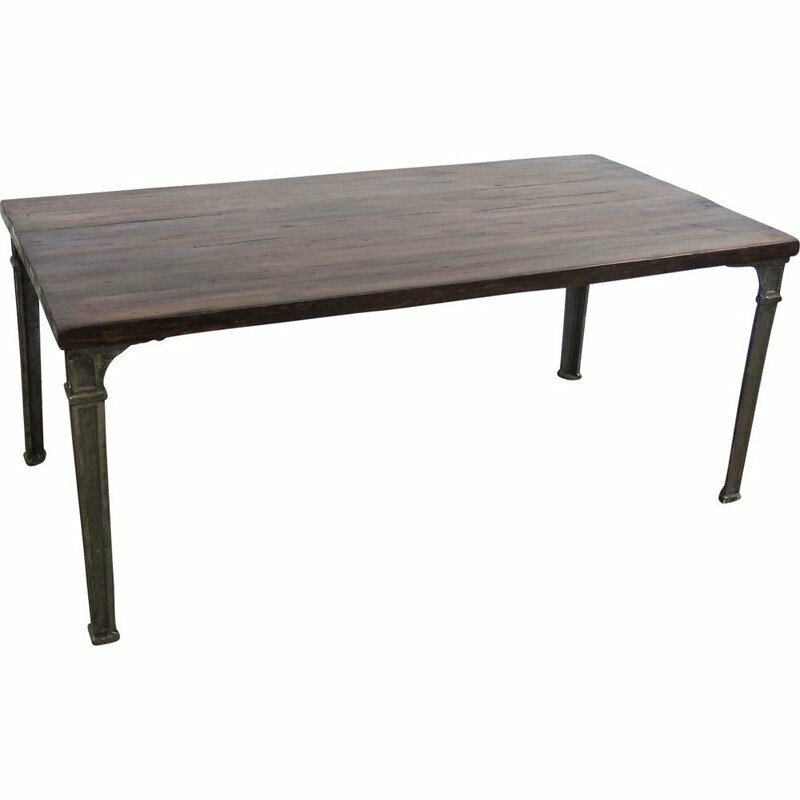 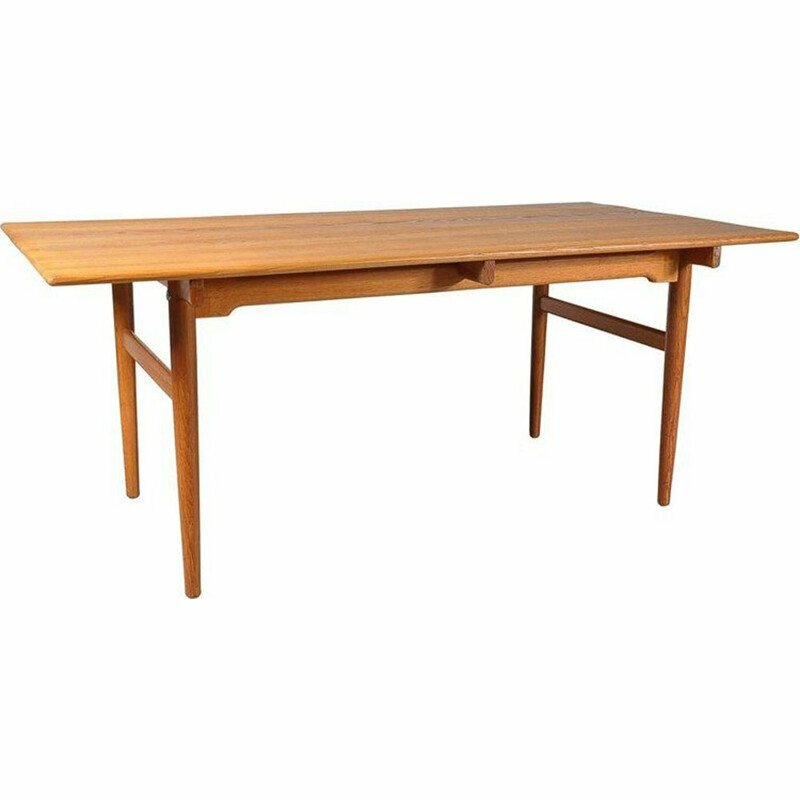 Table from the 60s, structure and top veneered with oak, legs made of solid wood. 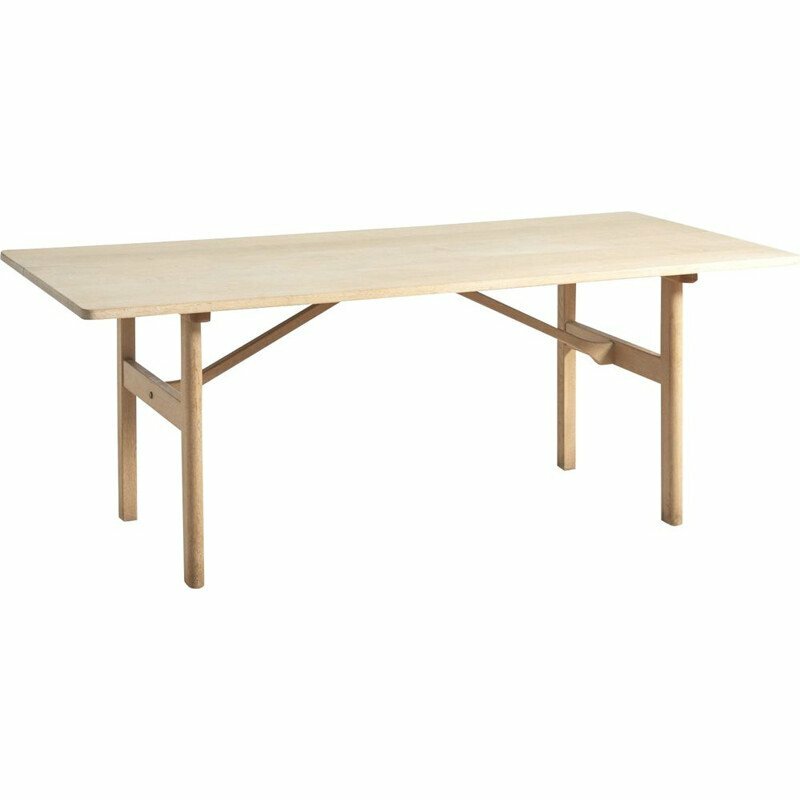 Item has two external inserts. 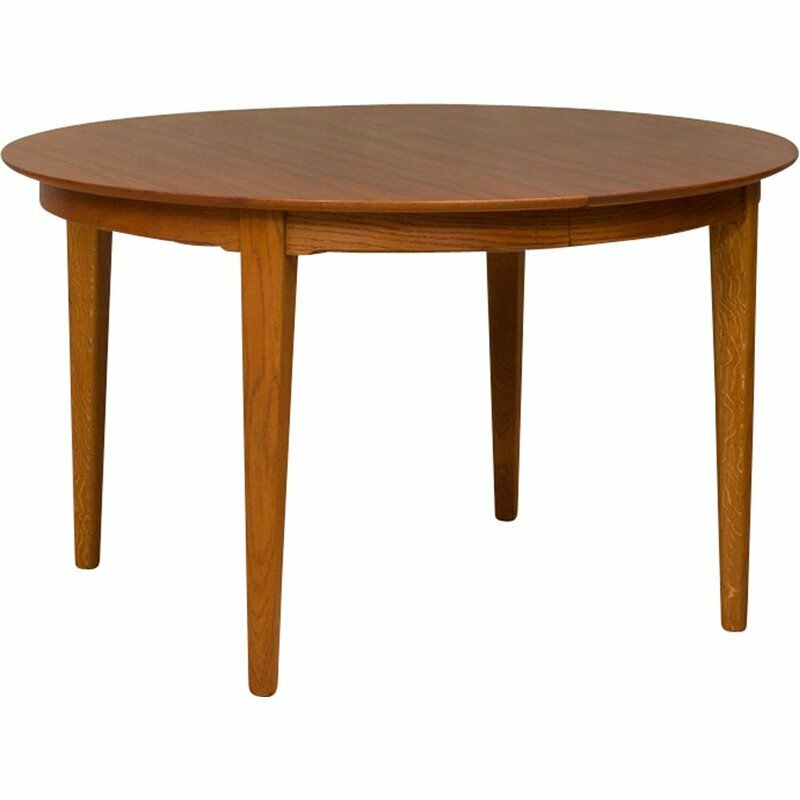 Preserved in good condition (minor scratches and bruises) - directly for use. 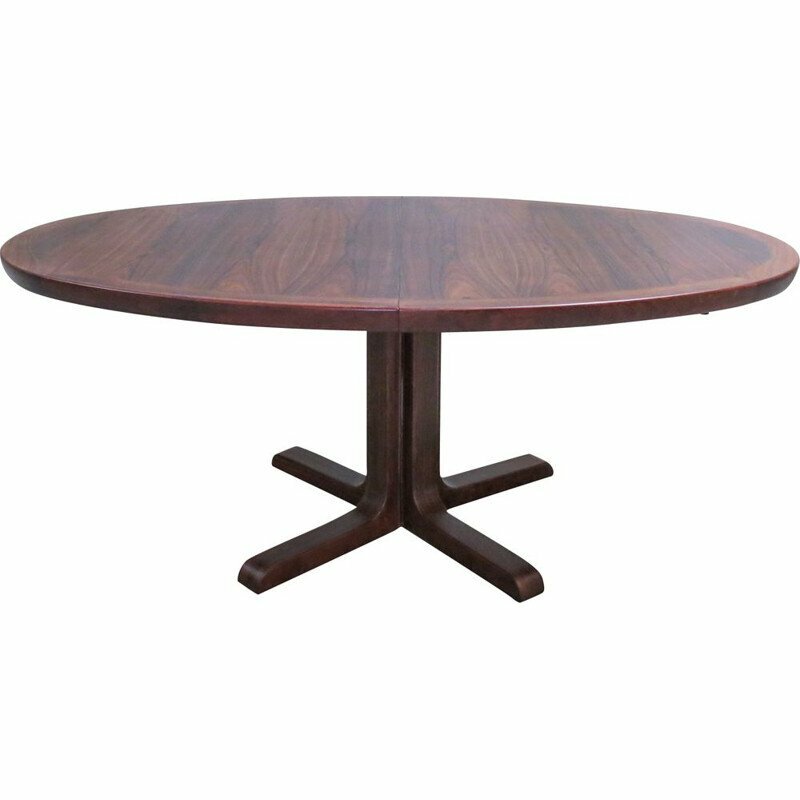 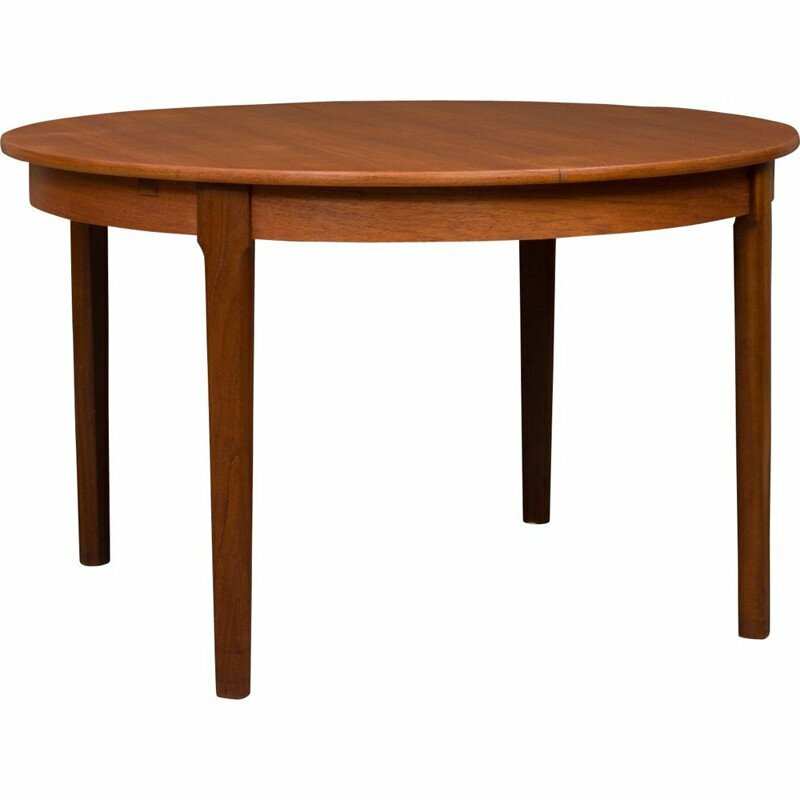 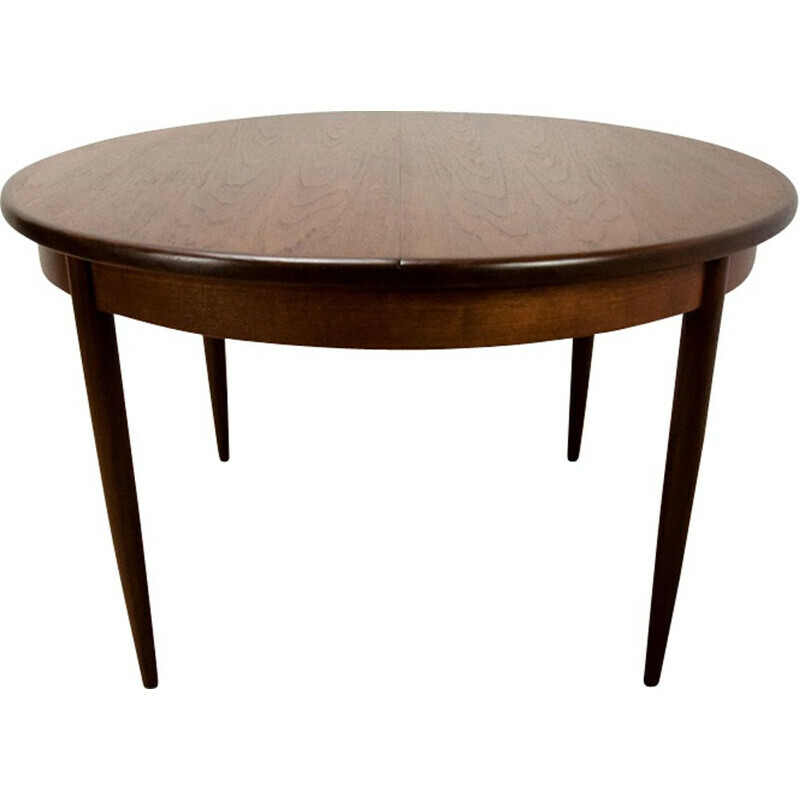 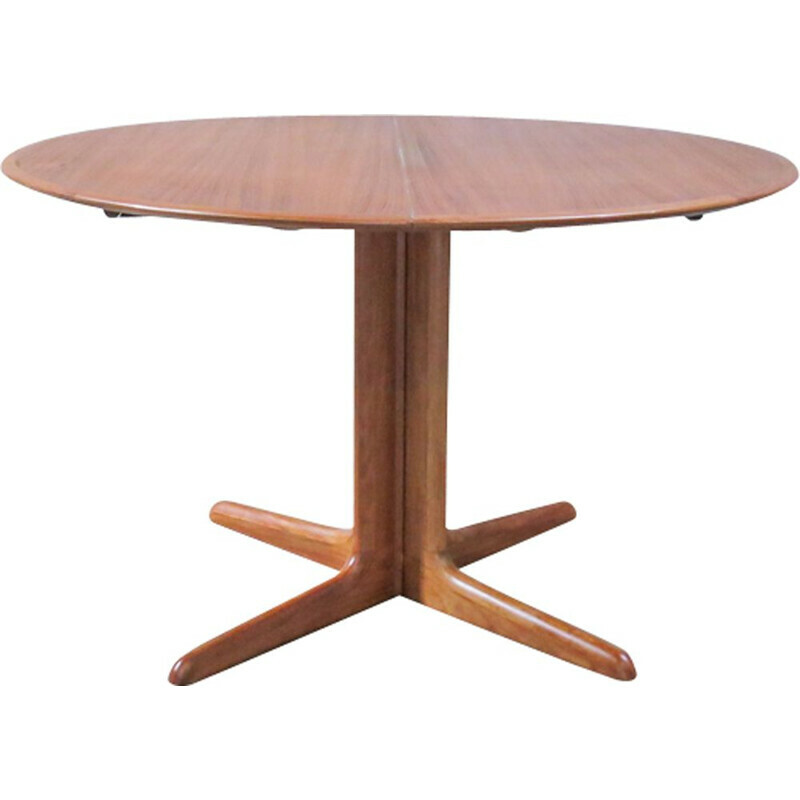 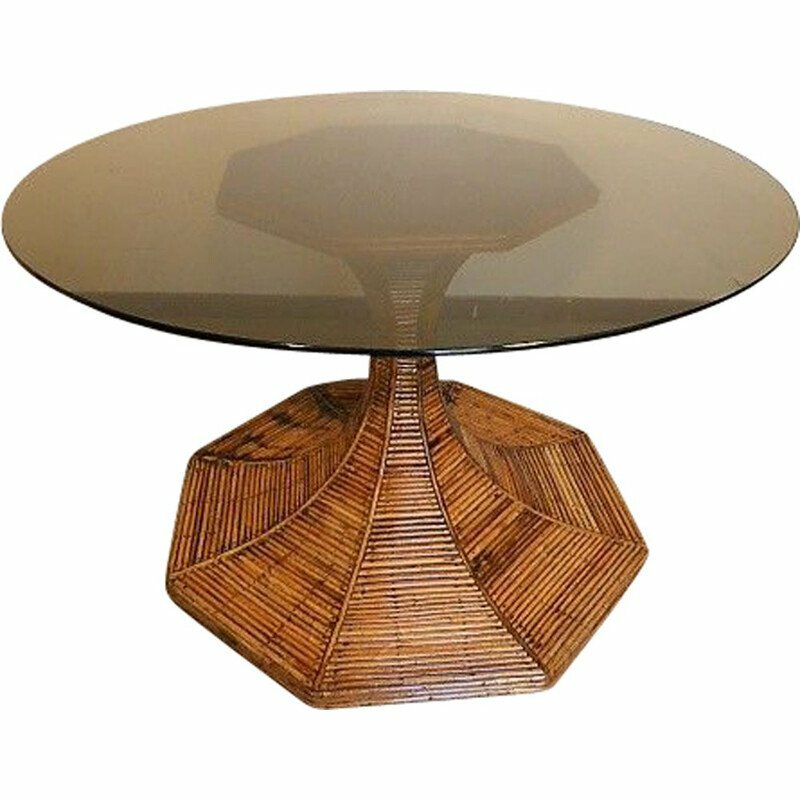 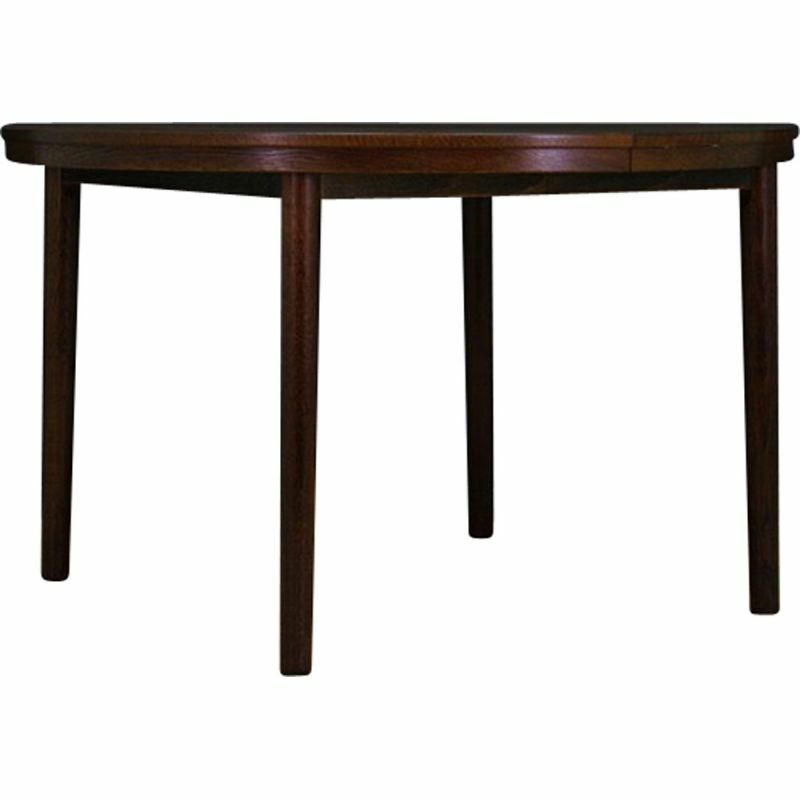 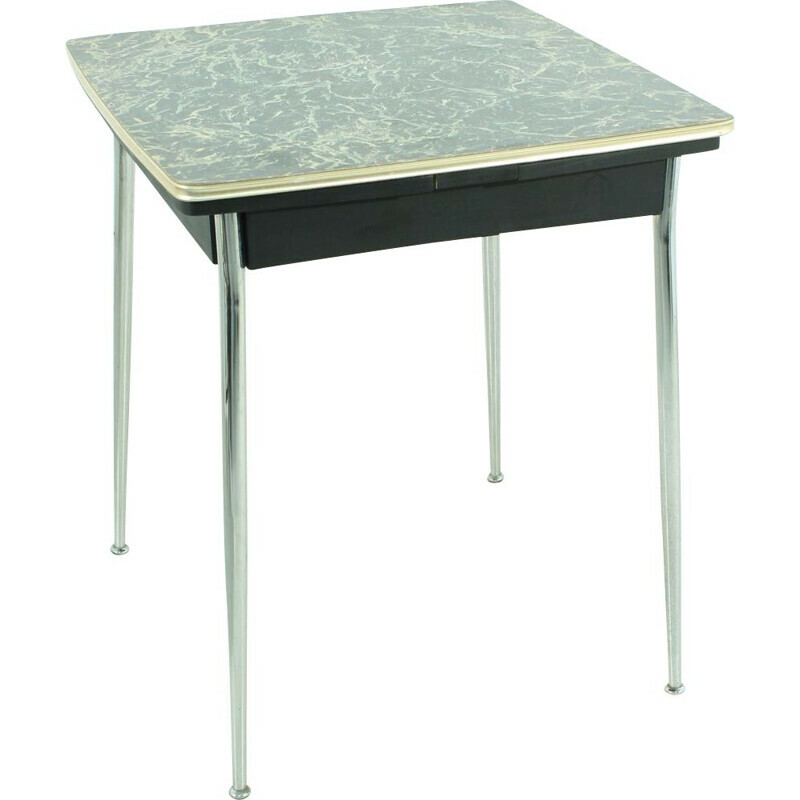 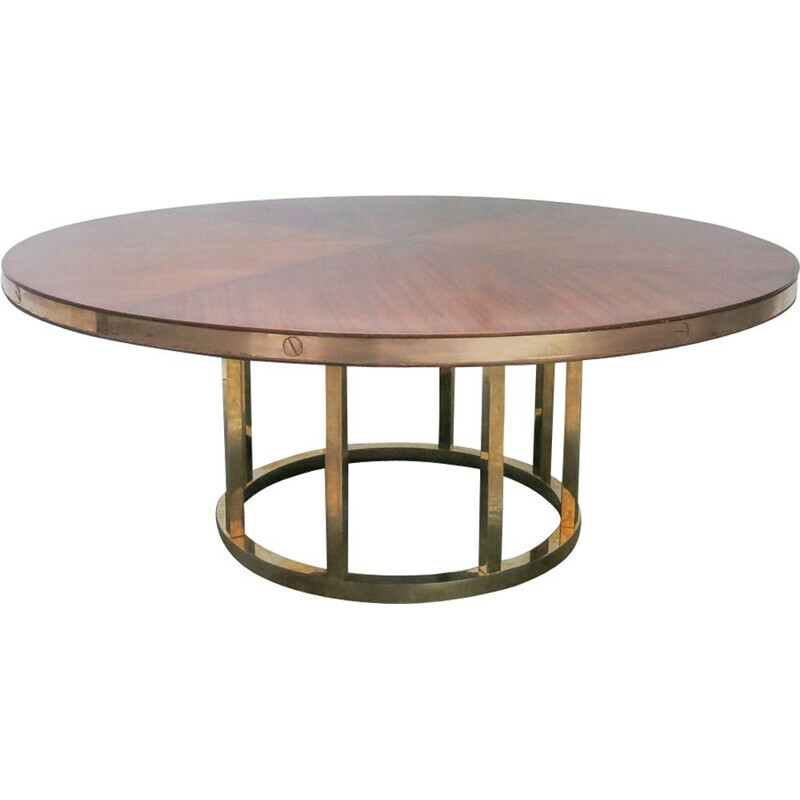 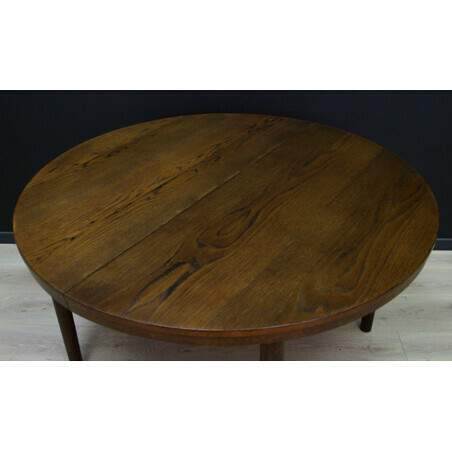 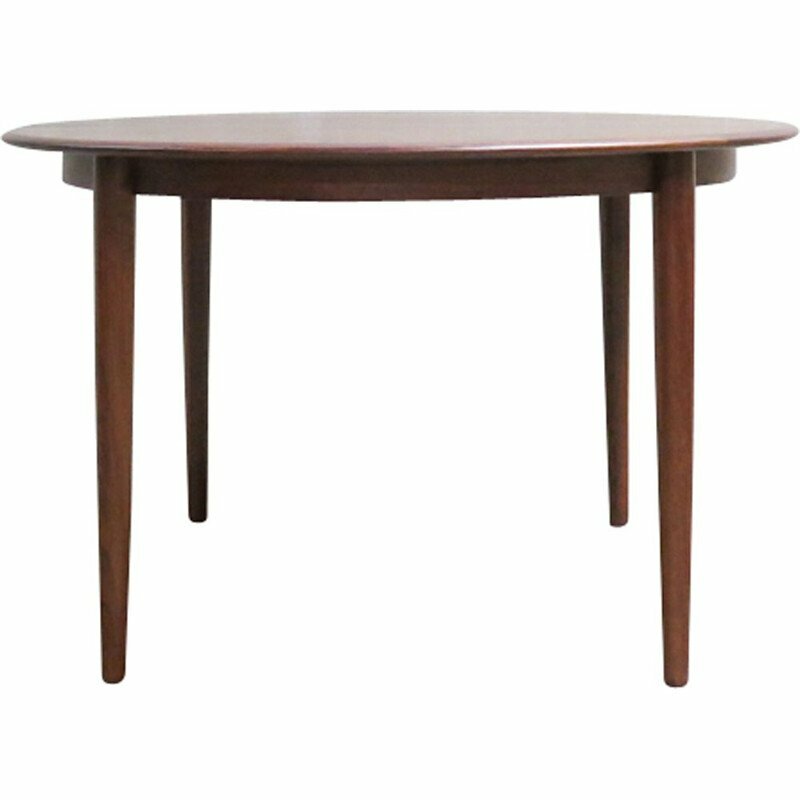 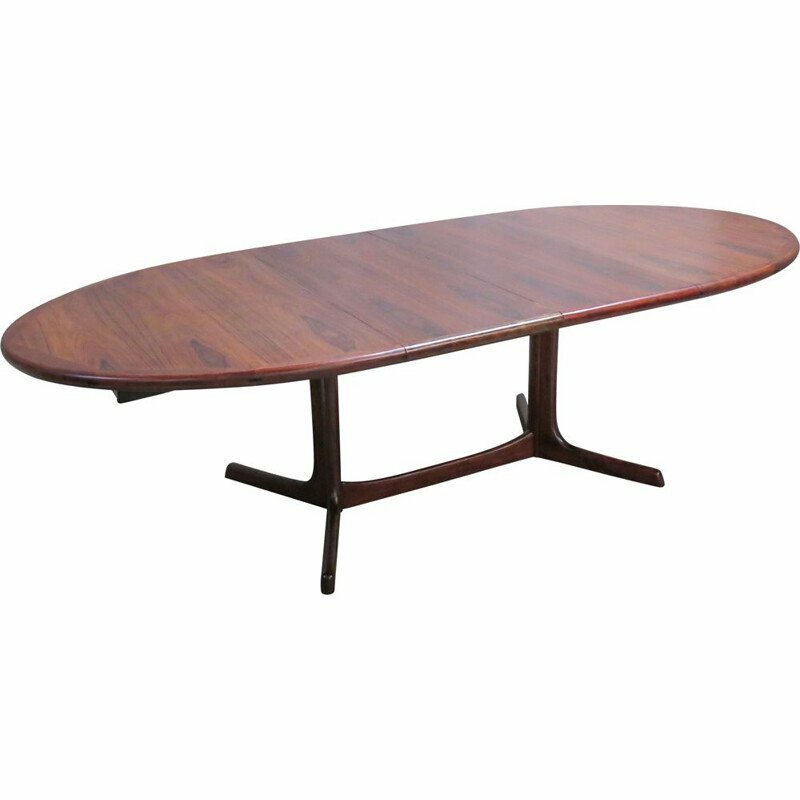 Dimensions: height 72 cm, table top diameter 120 cm, inserts 2x 45 cm.